Discussion in 'The Bar' started by websaway, Mar 13, 2018. We live in a fast changing world. Is it time domainer's looked at their portfolios and faced realism. 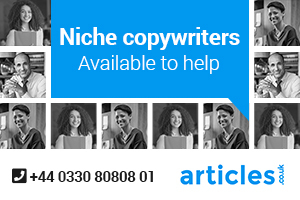 We are now seeing domains being offered for as little as £4, this amounts to a nil value. 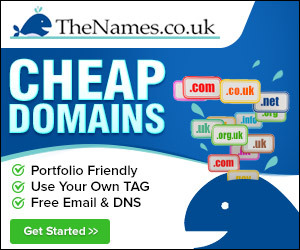 If a domain is valuable enough to register and renew, why would you sell it for £4 or even £10 or £20. Millions of worthless names were registered which over the years have become less than worthless. Is it time people bit the bullet and just let names drop, if someone else is stupid enough to register them then so be it, if someone is clever enough to benefit from the drops then good luck to them. I know it's difficult to determine the value of a name but when it's offered for £4 hasn't that then been a realisation of it's marketable value. I'd suspect just a last ditched attempt to recover a years reg fee before dropping. If you do that 10, 20, 50, or 100 times, then perhaps it is worthwhile trying, at least to recover some losses. Has always been the case that the majority of domains registered have little to no value, but I would agree that focusing on a smaller selection might be the best approach for some. I always planned to do this as a final "fire sale", when my exit strategy is enacted. Once your wheat has been beaten, the chaff sold for bedding, and your left with bits, you try last ditch attempts to clear before dropping. As a buyer I can't risk such buys unless I really want the names as I would assume end users have already been tapped, so would only buy something which appealed to me for development, which is a whole different thing these days. Yea, well think about the poor smuck who let lian.com drop a couple of years back and it went for $221k! You just never know. Timing / end user is the key. Unless the end user just doesn't know they need it yet Timing is everything isn't it ? Especially if you don't do much outreach . Isn't it also something you learn as you get more experienced ? I've been drop catching a year now ( which is nothing compared to most of the guys on here) , but i'm learning to be much more selective about what i go for. Especially as renewals are now starting to kick in ! I guess it also depends on your approach. I know one of the chaps on here who consistently has a good run of decent sales and it's based on buying in volume and waiting for approaches.Seems to be a good approach aswell given the sales he gets.